The Team at Steiner Legal share a common desire to provide a high level of ethical and diligent service to clients. Client’s have the benefit of a legal team with in depth knowledge in their fields of practice and real life experience. Every matter at Steiner Legal is allocated a solicitor who will have primary carriage of the case. Steiner Legal takes a collaborative approach to cases, with solicitors often working directly alongside each other in more complex matters. The range of experience within the team ensures that client’s have the benefit of a fee structure suitable to the complexity of their case. Cases are allocated to solicitors at Steiner Legal taking into consideration the preferences of clients, the type of matter, and the level of expertise required. Clients can be confident that their solicitor is committed to reaching the best possible outcome in their case. Erin Steiner, Steiner Legal’s Solicitor Director was a member of the NSW Police Force for 18 years before establishing Steiner Legal. Erin worked in various positions in the NSW Police Force including 10 years in plain clothes and as a qualified Detective. Erin was the officer in charge of major investigations including matters such as murder, manslaughter, sexual assaults, drug investigations and other serious indictable offences. As a Detective, Erin Steiner gained valuable experience in managing Local, District and Supreme Court cases. Such extensive experience provided her with skills beyond that of many solicitors particularly in areas such as brief preparation, interviewing techniques, evidence gathering and conflict resolution. These skills provide her clients with an added advantage in dealing with their case. In 2007, Erin transferred to a legal position in the NSW Police Force working in the area of Employment & Industrial Law under the Professional Standards Command. Erin’s role was to provide advice in relation to police policy and legislation to senior management throughout the organisation. 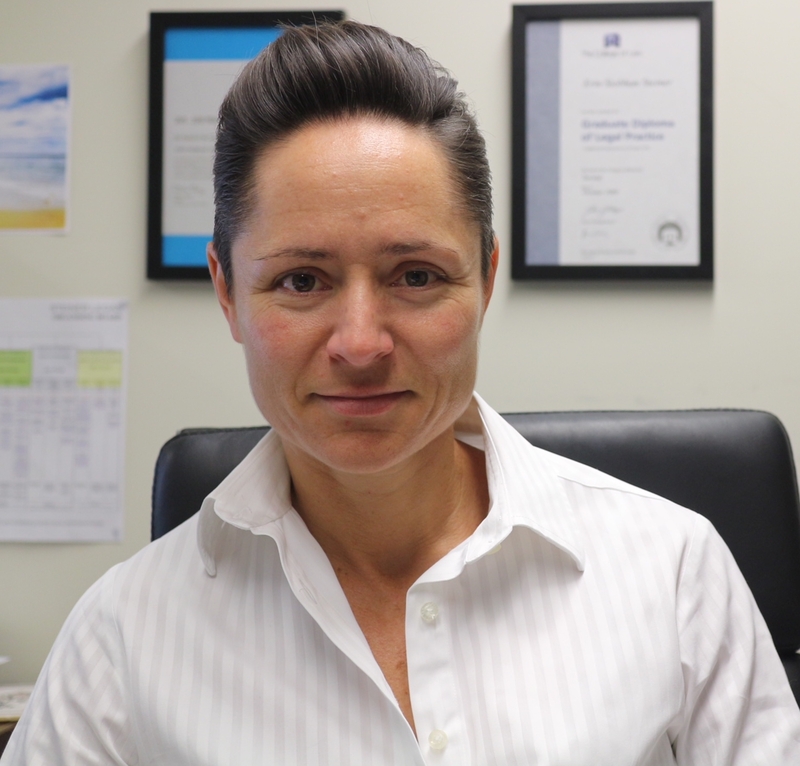 While working as a solicitor in the NSW Police Force Erin managed police disciplinary cases before the Industrial Relations Commission (IRC) and appeared as an advocate in the IRC on behalf of the Commissioner of Police. While employed by the NSW Police Force, Erin received numerous awards for her high level of integrity and operational achievements. Erin resigned from the NSW Police Force as a qualified Detective at the rank of Sergeant. Since commencing her own legal practice Erin Steiner has worked on a variety of cases with a focus on Family Law, Employment Law and Wills & Estates matters. Erin has appeared as an advocate on behalf of clients before the Australian Human Rights Commission, Fair Work Australia, the Local Court (criminal), the Federal Magistrates Court (family) and the Family Court of Australia. Erin Steiner has a strong sense of social justice and is a volunteer solicitor at several community legal centers. Erin continues her commitment to servicing the needs of the disadvantaged community by providing pro bono and reduced fee assistance in some cases. Steiner Legal’s philosophy is to approach each case with a view to avoiding costly and uncertain litigation. Erin Steiner adopts a conciliatory approach to each case and strives to encourage parties to reach a mutually agreed outcome. Her commitment to each client and high level of integrity when dealing with each case has resulted in Steiner Legal becoming a fast growing legal practice. Joining the firm in 2014, Tahlia began working as a Paralegal, before stepping into the role of Solicitor. 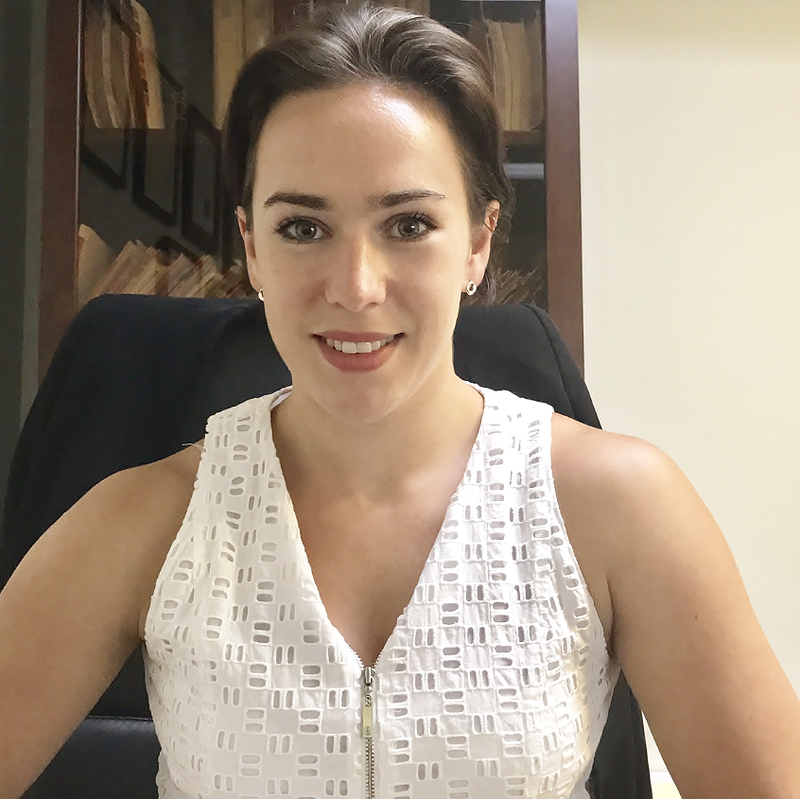 Tahlia’s role includes managing files and accounts, drafting legal correspondence and advocating (both in court and out) on behalf of our clients. Tahlia works mostly with our family law (property and parenting), surrogacy and estate matters. Drawing on personal experience, she understands the gravity and importance of the work she undertakes on behalf of our clients. Tahlia always strives to provide our clients with a high level of commitment and care, acknowledging that we often assist clients at difficult times in their lives. Tahlia is passionate about approaching matters in a conciliatory manner, focussing on avoiding costly and uncertain litigation. She believes that the majority of matters can be settled in an amicable manner and strives to ensure that is the case. Tahlia also has a keen interest in the area of sociology and social theory, borne out of her university studies. Her knowledge in this area give her a well-rounded understanding of law in the wider social perspective, including what motivates people’s actions and behaviour. She believes this assists in understanding the best way to approach, and ultimately settle our matters. Tahlia has undertaken further studies in the areas of family law and dispute resolution, which enhances the service that she is able to provide our clients. Tahlia is also able to conduct family dispute resolution and mediation, and is admitted as a Solicitor of the Supreme Court of New South Wales and the High Court of Australia. Tahlia believes in the importance of community involvement and is frequently taking part in community and charity events. This participation was recognised when Governor Prof. Marie Bashir AC presented her with a Certificate of Commendation and Medallion from the Order of Australia Association for Community Service in 2010. Bachelor of Laws (Honours) LLB. Bachelor of Criminology and Criminal Justice (with Distinction) BEc/Bed.